Everything has numbers. Parks have numbers. Towns have numbers. 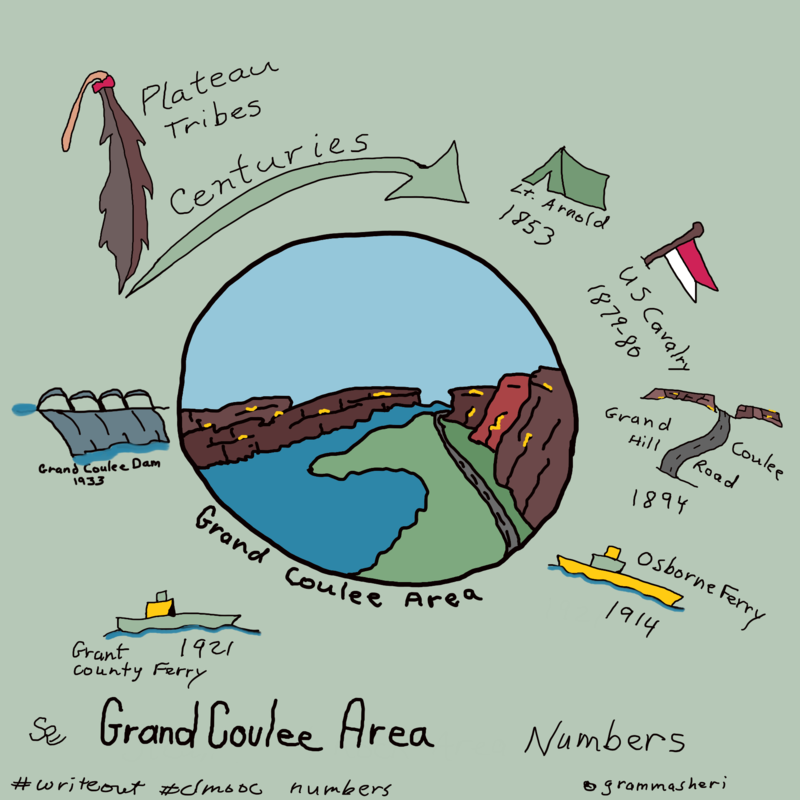 Here are a few numbers from the history of the Grand Coulee Area. In 2001, my students [4h and 8th grade students] created a website called “Signs of the Past,” which was a state-wide student project. The website no longer exists, except through a backup and the Wayback Machine. 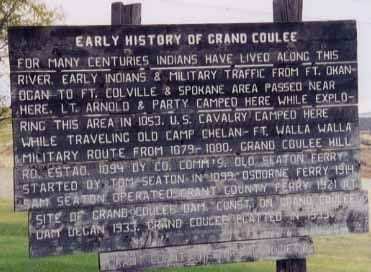 Part of their project discussed the Grand Coulee Area, noted in their picture of the sign post, above. For many centuries Indians have lived along this river. Early Indians and military traffic from Fort Okanogan to Fort Colville and Spokane area passed near here. Lt. Arnold and party camped here while exploring this area in 1853. U.S. Cavalry camped here while traveling old Camp Chelan-Ft. Walla Walla military route from 1879-1880. Grand Coulee Hill Rd. established in 1894 by County Commissioners. Old Seaton Ferry started by Tom Seaton in 1899. Osborne Ferry 1914. Sam Seaton operated Grant County Ferry 1921 at site of Grand Coulee Dam. 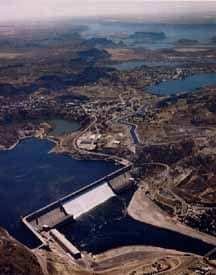 Construction on Grand Coulee Dam began in 1933. Grand Coulee platted in 1933. 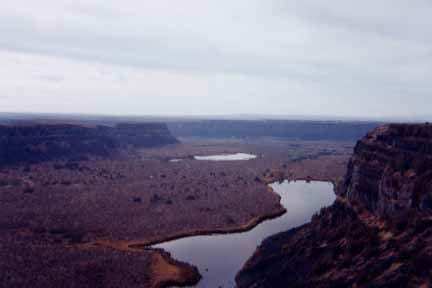 When the Ice Age hit this area, the glacier blocked the main course of the Columbia River. It had to crash a new course, which is through where Banks Lake is today. 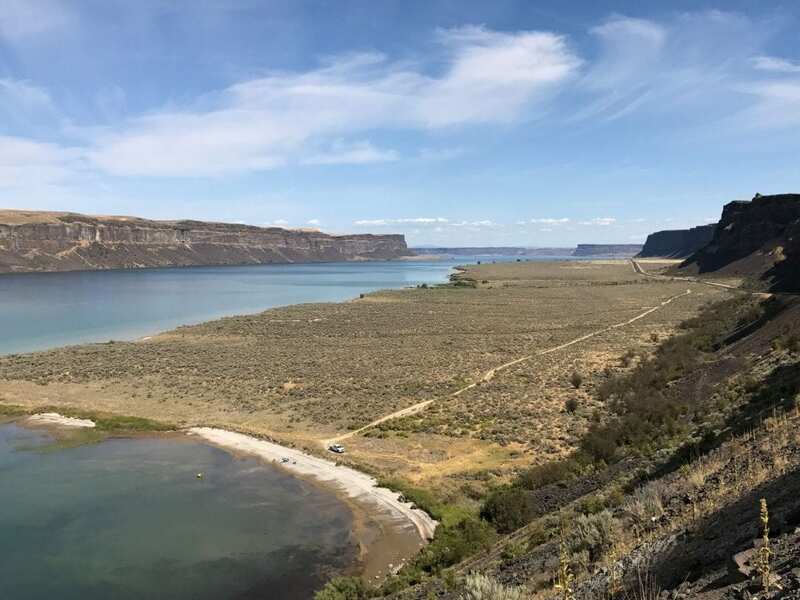 After the Ice Age, the Columbia River went back to its main course. The fish in Banks Lake are bass, trout, perch, blue gill, and crappie. You can even boat at Steamboat Rock as well as water-ski, innertube, and jet ski. The hunting consists of a shotgun and only for birds. For swimming, there are no lifeguards in the area for swimming by the campgrounds. Campgrounds have electricity, showers, picnic ground, and sewage. Hike all over the area by Steamboat, but when winter comes enjoy cross-country skiing. Isn’t it fascinating that we can still find the history of the past? And we can share our work and history to remember from where we came. What’s the history of your area? Share your blog post about it in the comments below. Photo, art by Sheri, except as noted above. Great exploration of numbers and place ….